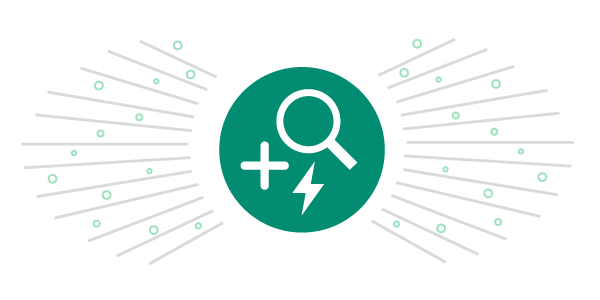 Search across Twitter, Facebook and the web for articles, blog posts and photos. Instantly bulk import and schedule the best posts with just a few clicks. 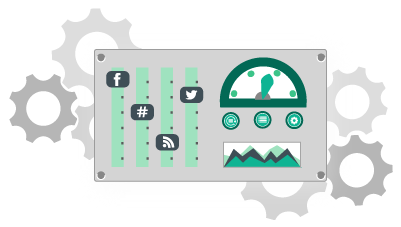 Customize your posts with hashtags, attribution and more. Share More. Work Less. Maximize Results. Search across social media and the web for quality content. In seconds, you’ll find the most relevant, timely content to share with your friends, fans and followers. The fastest way to load your social media queue with quality content. Import multiple items from your favorite sources with one click. 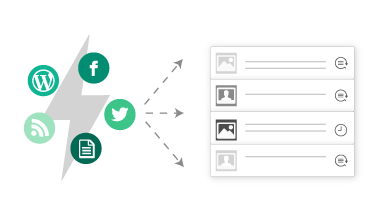 Instantly fill your social media queue with content you specify in a CSV file. 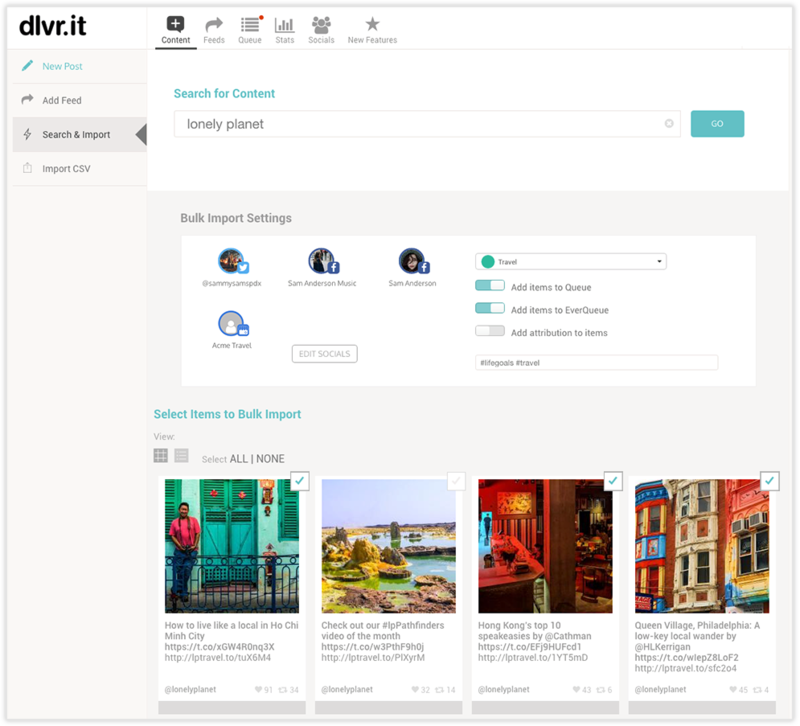 Upload the precise links, photos and messages you want to share. 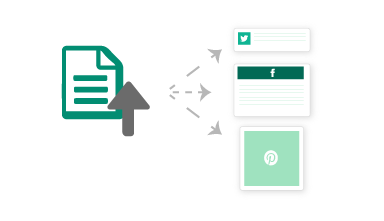 Effortlessly schedule your blog posts for resharing across social media. 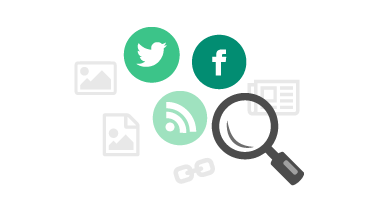 Search across Twitter, Facebook and the web for the quality articles, photos and blog posts. Import the best items into your social media queue in seconds. We’ll post these items to your followers on your posting schedule over the coming days and weeks. Take complete control of the content you import. Add custom hashtags, category tags, and include links to the source. You’re running the show. 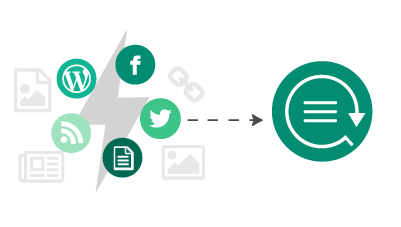 Effortlessly fill your EverQueue with content from your favorite sources, including your blog and social media profiles. After we post an item, it's recycled back into EverQueue. Instant nirvana. Save time. Boost traffic. Eliminate stress.